© Reuters. Apple announces its lates iPhones this week. Many investors may be inclined to dismiss yet another headline on global trade and focus on the more granular aspect of the markets. But make no mistake, the markets were gyrating with the twists in the saga between the U.S. and its trading partners. The latest salvo came Friday, when Bloomberg reported that Trump the day before to proceed with tariffs on about $200 billion more in Chinese products, but that the announcement has been delayed as the administration considers revisions based on concerns raised in public comments. Earlier in the week, China had by the United States to hold a new round of trade talks. The Trump administration had invited Chinese officials to restart trade talks, the White House’s top economic adviser said Wednesday. Earlier in the week, Beijing indicated it will ask the World Trade Organization for permission to as part of a dispute over U.S. dumping duties that China started in 2013. And there’s still the revamp of NAFTA to consider. The U.S. and Canada have been in talks to bring Canada into a new agreement between the U.S. and Mexico, but there have been on announcements to far. Talks are expected to continue through Monday. Apple got the type of promotional attention some companies can only dream of when the eyes of tech lovers and investors alike were glued to its keynote event for details on its new products, especially phones. Apple its new iPhone product line includes: the iPhone XR starting at $749, iPhone Xs starting at $999 and iPhone Xs Max starting at $1,099. Apple’s price points for both the iPhone Xs and iPhone Xs matched Wall Street’s estimates. The cheaper iPhone XR was priced lower than the $849 analysts had expected. Shares of Apple rose the day before the event in anticipation of the kind of surprise announcement for which former CEO Steve Jobs was famous. The stock sold off as details about the new iPhones arrived and shares ended the day lower. But shares bounced back on Thursday, leading the overall tech sector higher, despite negative analyst commentary about the price of the iPhone XR. The event also had ancillary effects on other tech stocks, including Netflix (NASDAQ:), which jumped as Apple failed to announce a further foray into video streaming or content development. 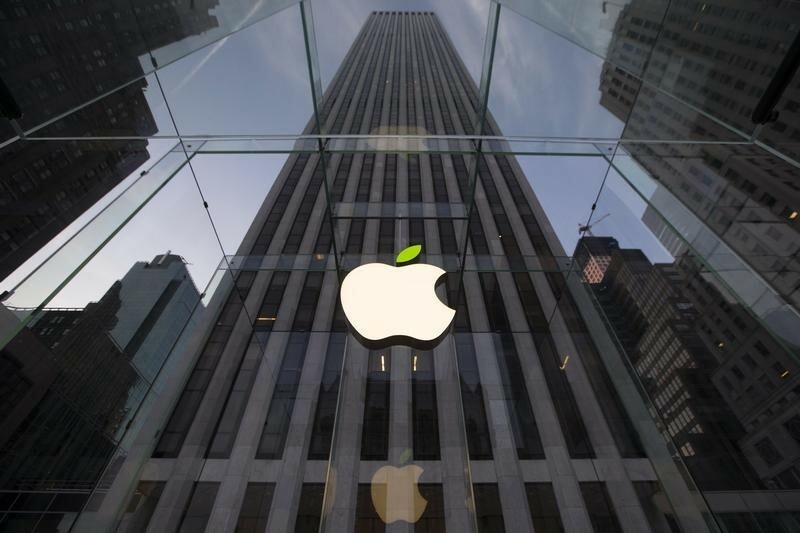 Apple shares (NASDAQ:) ended the week slightly higher. Bucking the recent trend that’s made investors nervous about price pressure, the latest data showed inflation cooling. First, figures showed wholesale prices . Producer price index decreased last month. In the 12 months through August, the PPI rose . Economists had forecast the PPI rising 0.2% last month and increasing 3.2% from a year ago. The core PPI decreased by from a month earlier and rose in the 12 months through August. Analysts had predicted core PPI to increase 0.2% month on month and 2.7% on an annualized basis. The consumer price index advanced , missing expectations for a gain of 0.3%. In the 12 months through July, the CPI increased , below forecasts for a reading of 2.8% and down from 2.9% in July. The core CPI increased by from a month earlier, below forecasts for a gain of 0.2%. The annual increase in the so-called core CPI was . Economists were looking for it to hold steady at July’s 2.4% advance. But despite these softer inflation numbers, traders ended the week still predicting a more-than-80% chance of the Federal Reserve hiking rates at its December meeting on top of the expected boost this month. Bond yields rose sharply this week, owing to confidence that the Federal Reserve will lift rates for a total four times this year. The rise was particularly strong Friday, when the yield topped 3% briefly. A big reason for that was Friday’s . The August retail sales numbers were disappointing at first blush, rising , compared with expectations for 0.4%. But July’s gain was revised up to 0.7% from 0.5%. That revision gave market watchers some more confidence that the U.S. could see GDP growth of 4% in the third quarter, which would all but guarantee another rise in rates in December. Cannabis stocks were very active again, reacting not just to the tremendous momentum in the shares, but some market-moving news. Tilray (NASDAQ:) was the recent darling until Friday. The stock finally sold off sharply on the last day of the week following a rally that has seen its shares up more than 300% since its July IPO. Money rotated out of Tilray on a report that Canadian investors in marijuana stocks could face a lifetime travel ban to the U.S.
Canopy Growth (NYSE:) saw some buying activity after falling out of favor. But there is consternation in a sector that has seen such a big run-up as investors look at fundamentals. “You might argue our valuations are a little bit ahead of our skis,” Paul Rosen, chief executive officer of Tidal Royalty, which finances weed companies, told Bloomberg Wednesday. Concerns about a U.S. Food and Drug Administration has also raised questions about what it means for the sector.